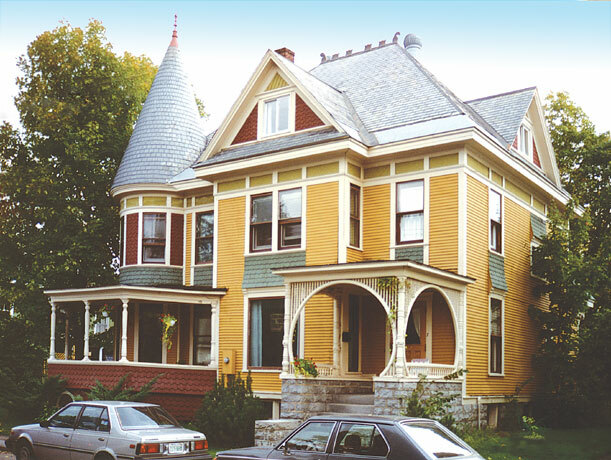 A grand, turn-of-the-century home carefully converted into two apartments and a staff office, for use by a privately run out-patient program of the Vermont State Hospital. Energy use has been diminished by the use of insulating window shades, triple-glazed replacement windows, full wall and roof insulation, foundation insulation, and water reducing shower heads, faucets, and toilet units. Traditional interior casework and trim has been re-used and supplemented by exact matching millwork as required. A five color painting scheme is used on the exterior to create an appearance consistent with the time of original construction.